OLIVE SuperLEAF! Use to make any variety of late summer hardwood trees. 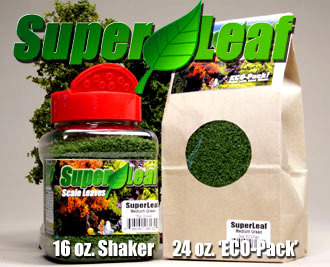 Ideal for oaks, ash and cottonwoods. Now in our NEW 24oz. (by volume) ECO-Pak! Approximately 3 cups of leaves. Thats 8oz. MORE for the same price!